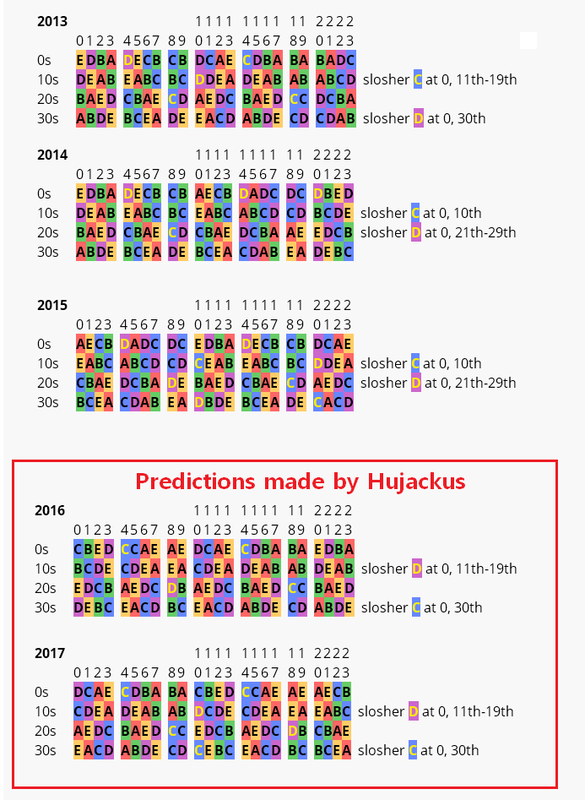 slinches wrote: Hujackus, your prediction is looking good so far. First frame of 2016 is "C". Haha. It is indeed a "C". Hoping it's not a slosher! I'll have to check back in a few. Looking forward to the new epilogue sequence data too! I might end up missing the wait for it moment. Less than one newpix away! Re: Y'ALL GOT ANY MORE OF THEM OTTSCARS? Since when does it take 5 years to make an image captcha server? Or easier still, send the images to a click farm. Brings to mind the earliest meaning of the word computer. Topic: 1362 - "Morse Code"
Re: 1362 - "Morse Code"
orthogon wrote: We also need to bear in mind that aliens can't decode Morse. WARNING! TVTROPES! WARNING! Lol. A simple misunderstanding. They used morse code not for security, but because all the other lines of global communication were taken over. Quick, someone from the OTT do a diff on the frames to see if there is any morse mustard. Title text: The less popular 8.8.4.4 is slated for discontinuation. As long as my random thought of the day site that uses the deprecated image api works, I'd be fine with this. The main problem I have is that the hang up process has a non-zero probability of disabling the alarm. Makes for a good story when I wake up hours late for something. Checking out today's comic to find it didn't update (2:40AM). 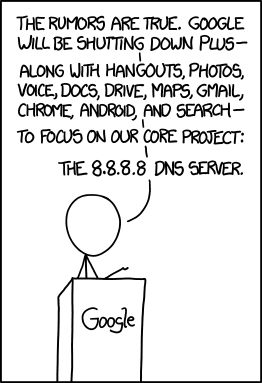 Well actually, it did, but only if I use go to http://xkcd.com/1358/ explicitly. Maybe in the morning the right comic will show up on the homepage. blademan9999 wrote: http://xkcd.com/1350/#p:7e7c2a0a-ba9a-11e3-8001-94de80a03a29 This one is good, and 48 panels long! Yay, my submission made it into the mix. Got it up to 30 frames. Inceptionish. My favorite "political debate path" so far. Hope there will be some more choices in the morning. Topic: 1349: "Shouldn't Be Hard"
Re: 1349: "Shouldn't Be Hard"
Now we need to get a codec to convert all videos & jpegs into sand drawings. rmsgrey wrote: Anyone else feel that there's something missing from this thread? Like the number 1341? Yes. Has anybody PM'd the OP? "QUICK! Go get two nearly parallel mirrors and hold them up. Get out of way!" Popped up on my news feed. Add another tally. I enjoyed scouring the web for old screensavers. I knew better not to download anything though as the best ones have long been deprecated into obscurity. Awesome list, thanks! I wanted to download 'em all and this saved me a ton of time! Question, though: http://imgs.xkcd.com/clickdrag/3n1w.png seems to be a 404. Typo? Yep. That's a false positive. Thanks. whereswalden90 wrote: I don't know if this has been posted yet, but here's a google maps-esque version with zoom buttons and all. It even loads quickly!